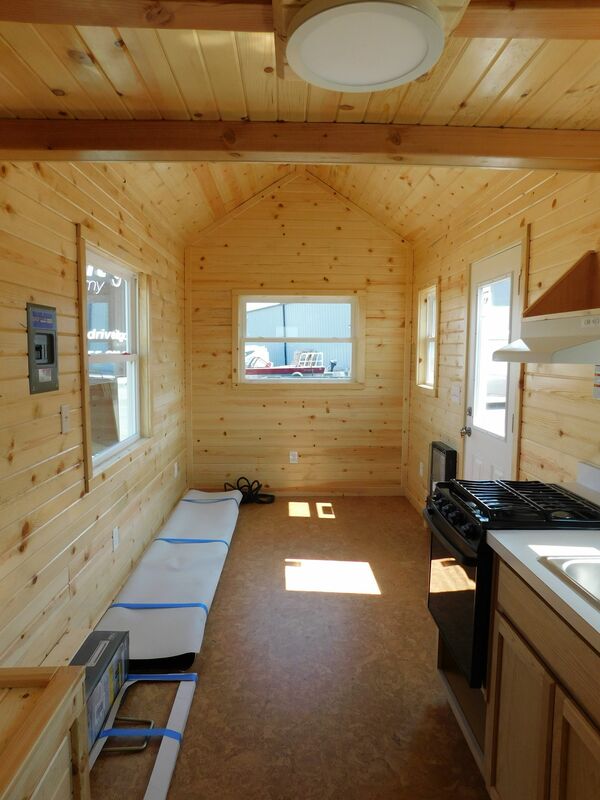 This Tiny House offers a cozy space with a roomy feel! 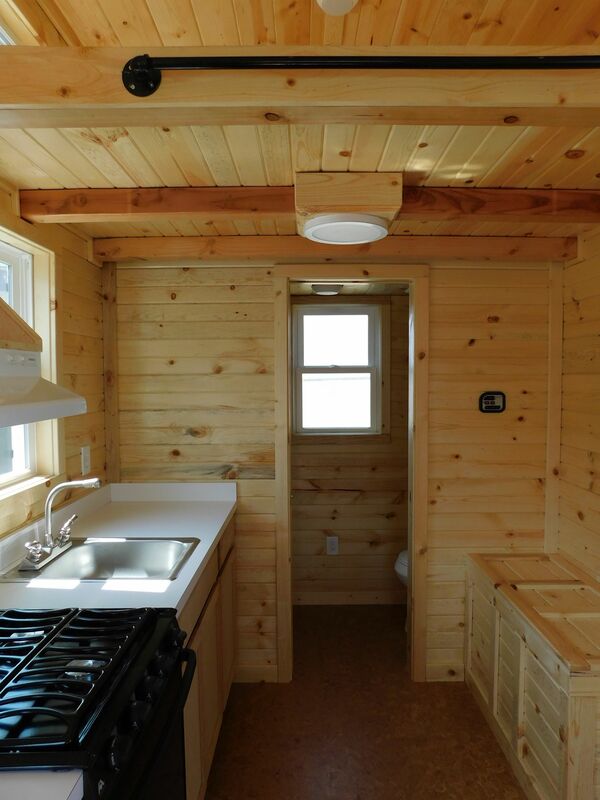 This tiny house offers a cozy space with a roomy feel. 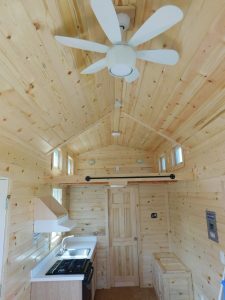 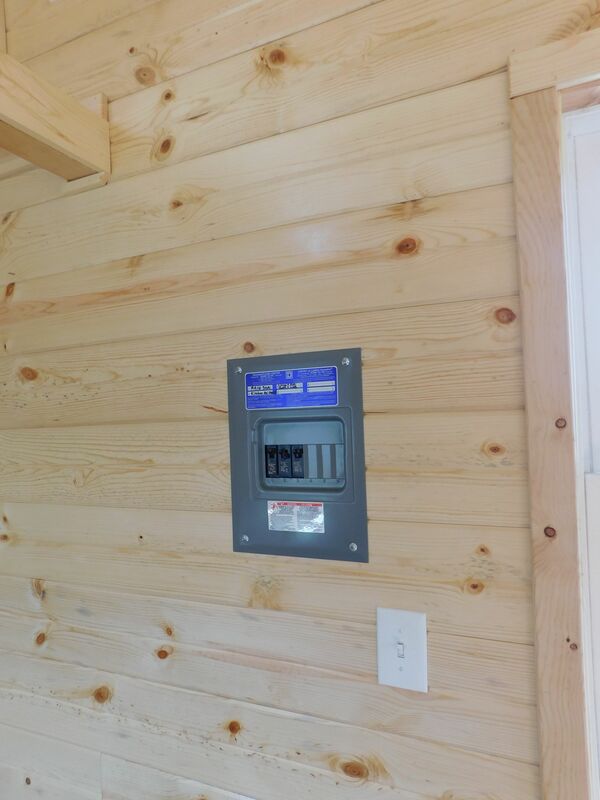 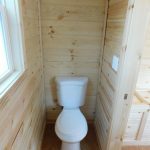 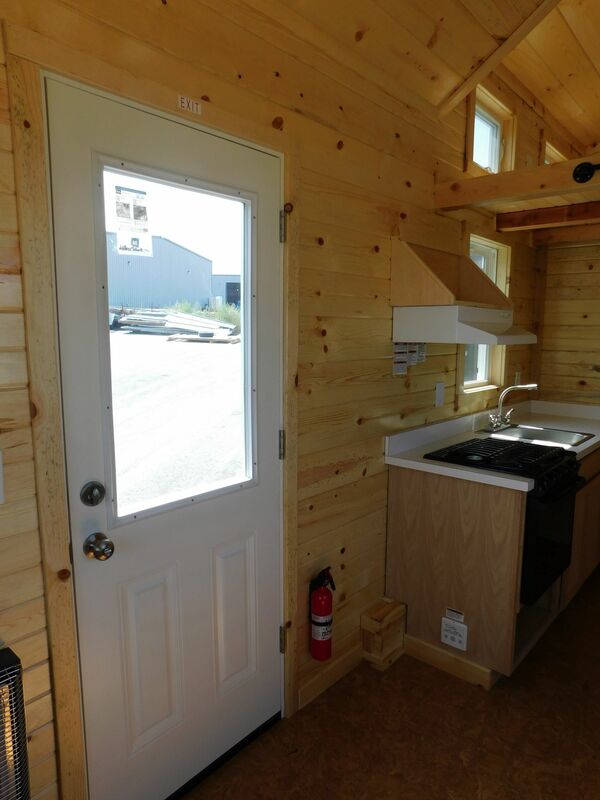 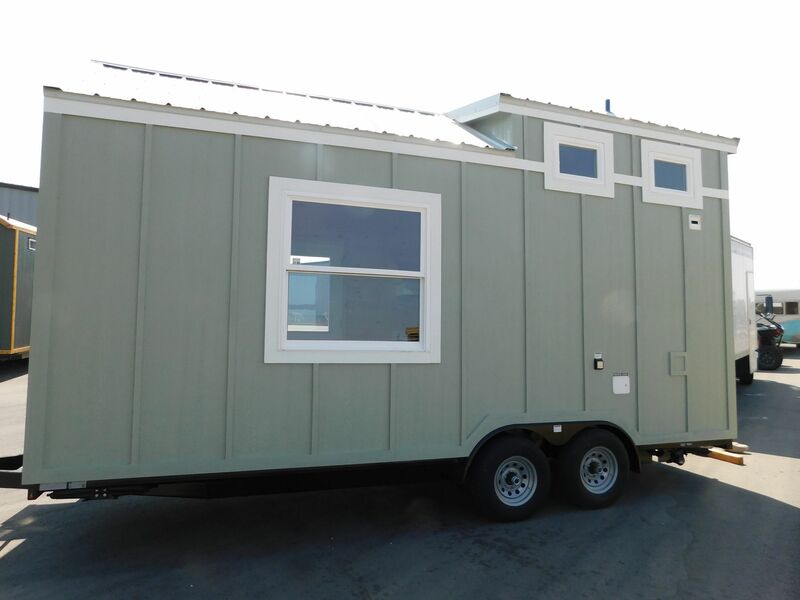 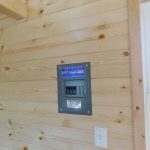 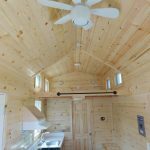 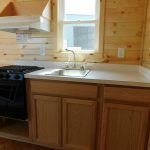 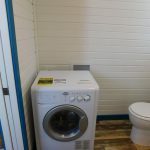 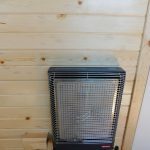 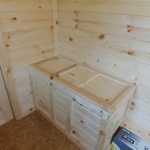 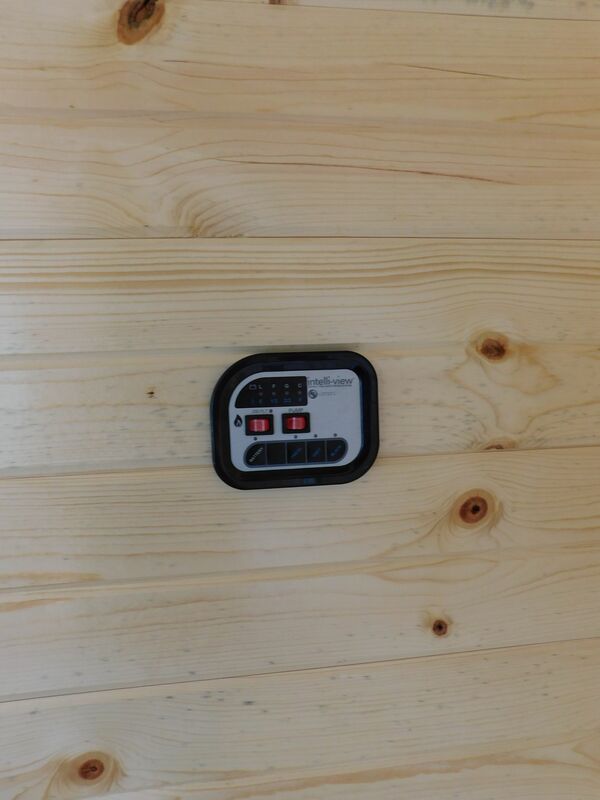 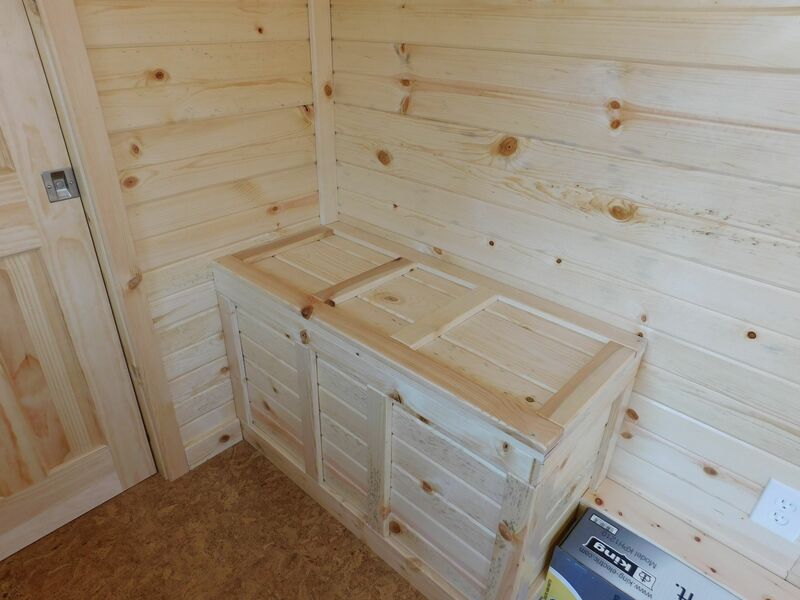 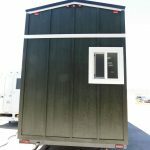 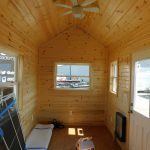 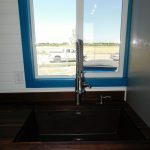 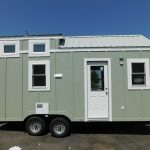 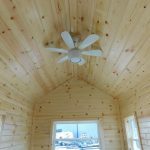 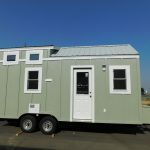 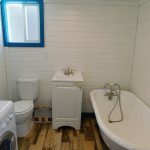 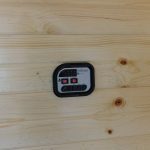 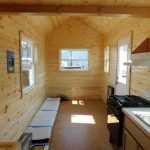 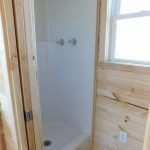 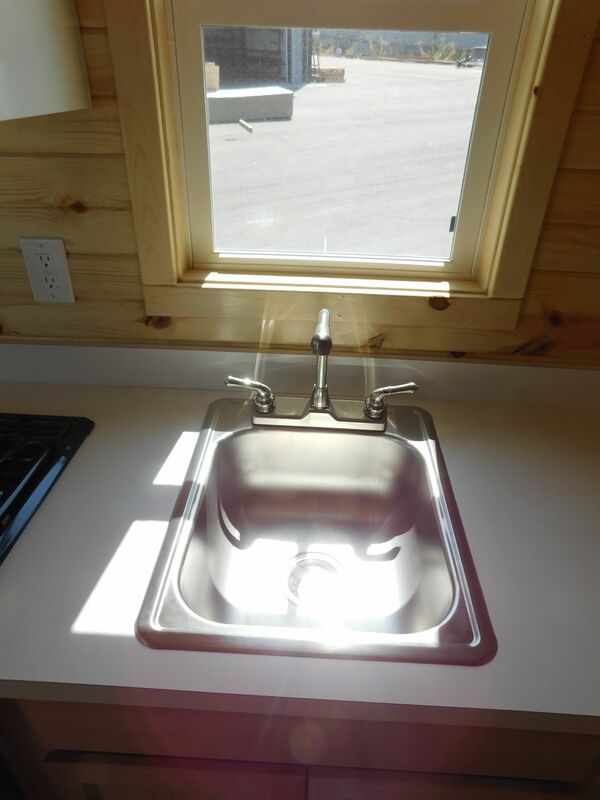 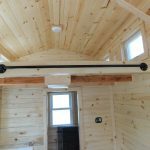 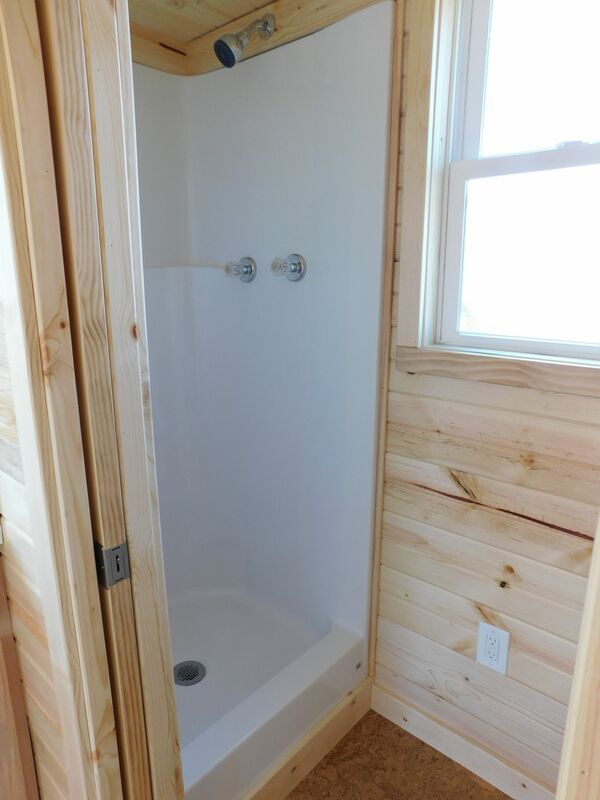 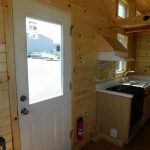 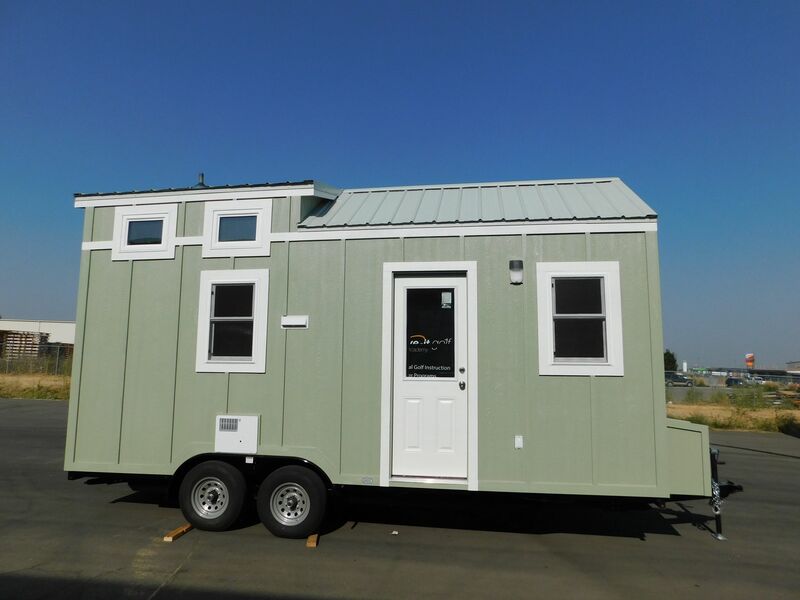 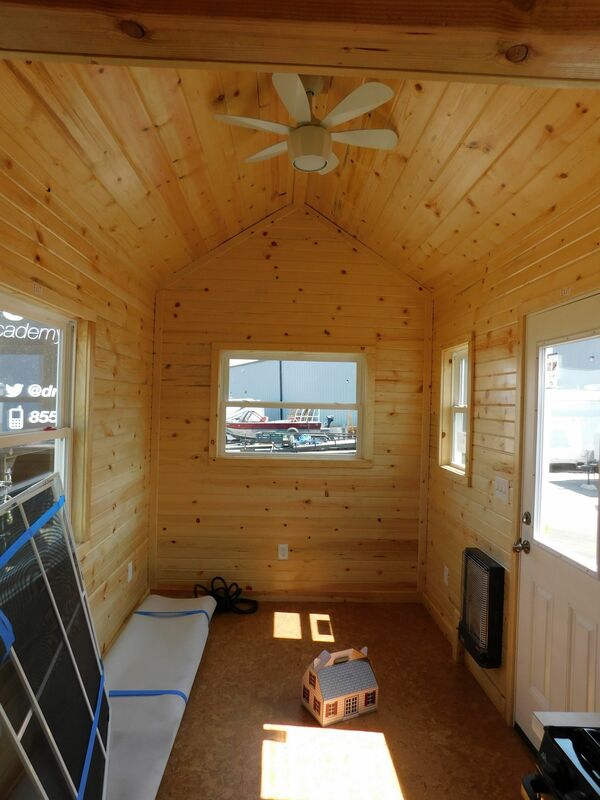 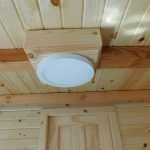 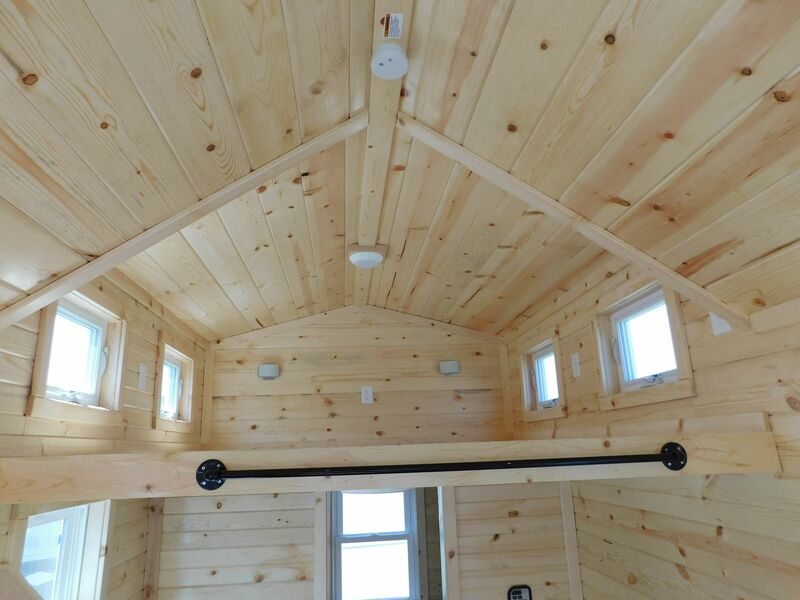 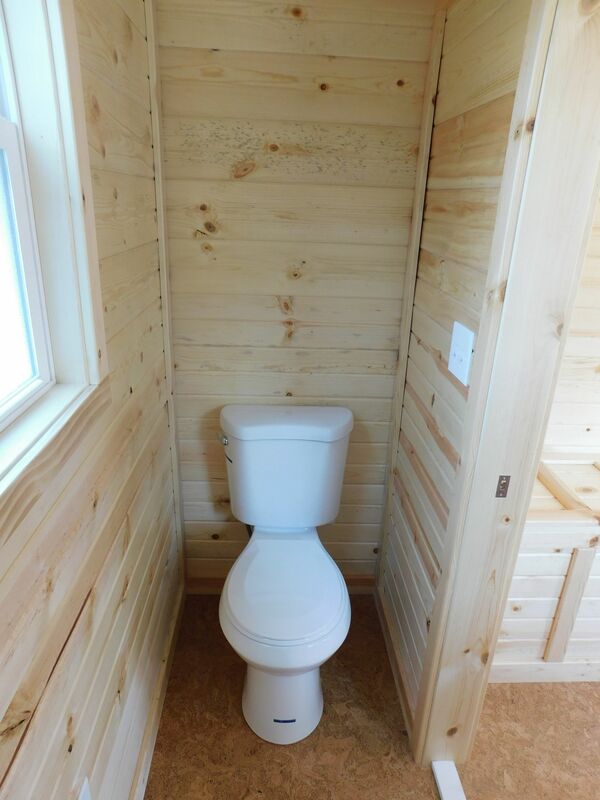 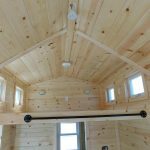 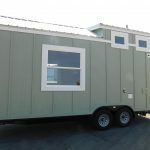 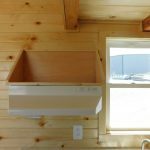 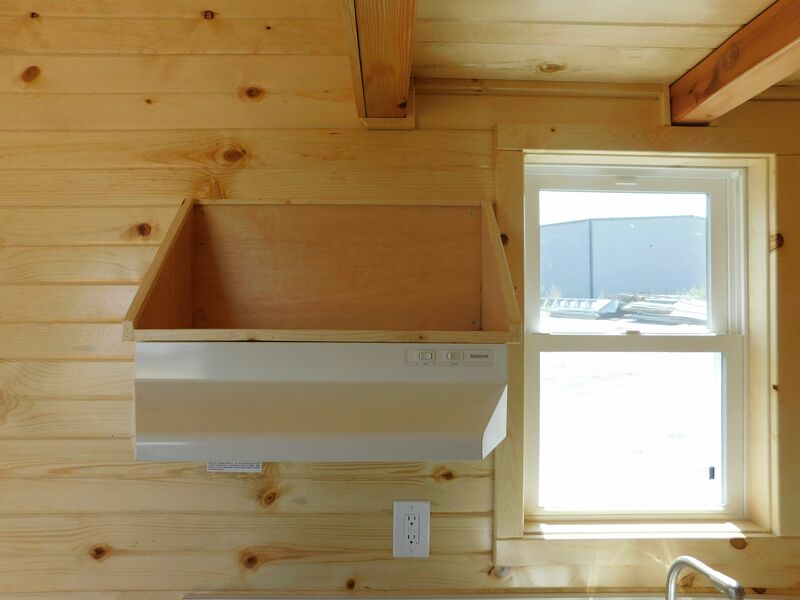 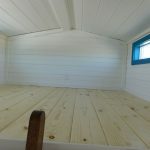 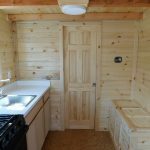 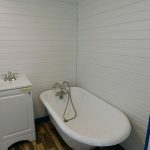 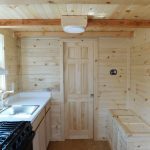 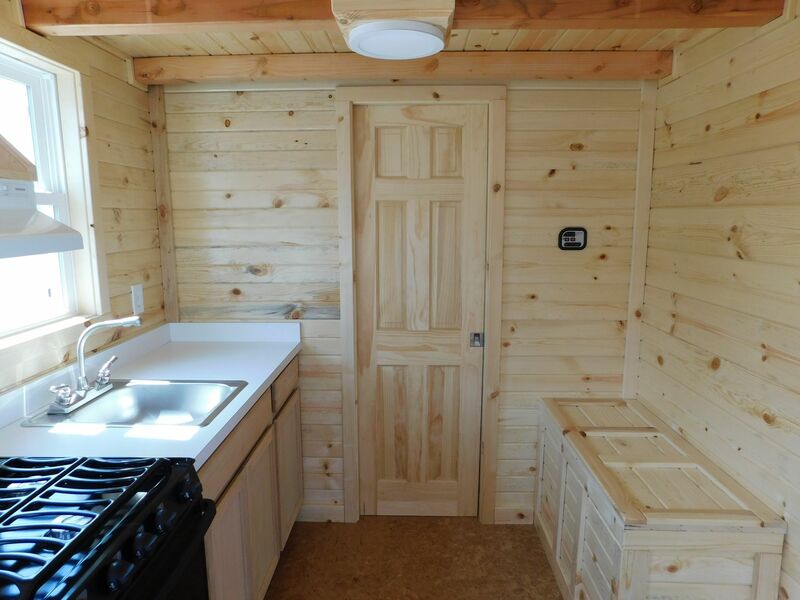 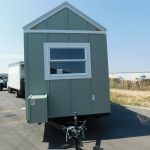 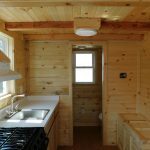 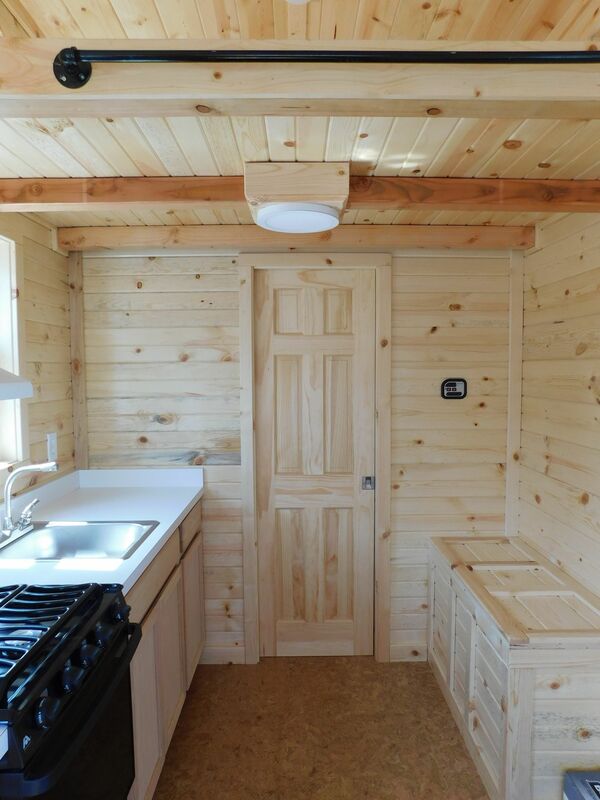 This 20’ Clear Creek model Tiny House on Wheels has clear coated pine tongue and groove interior walls and ceiling. 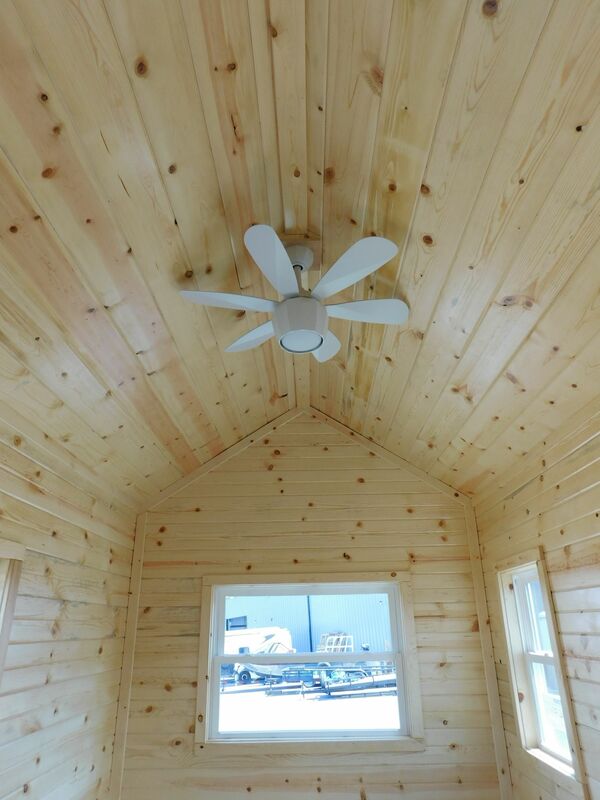 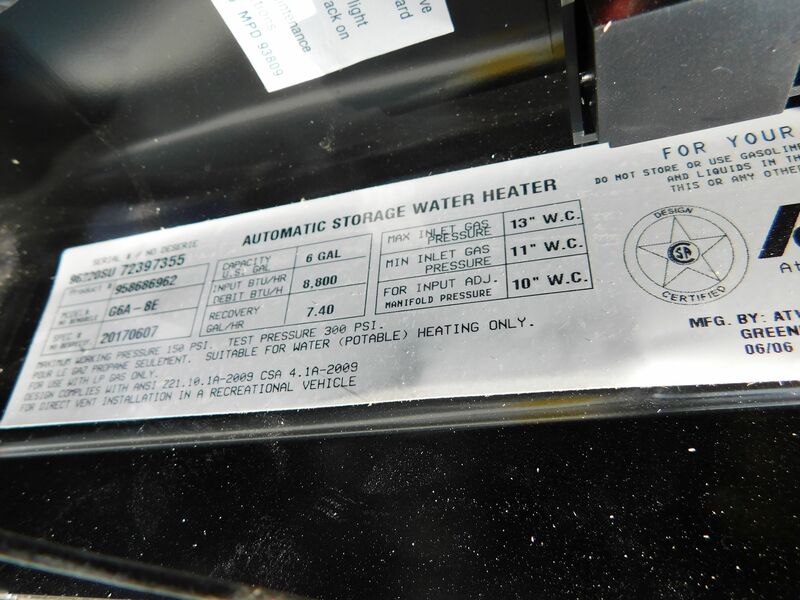 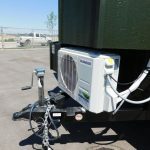 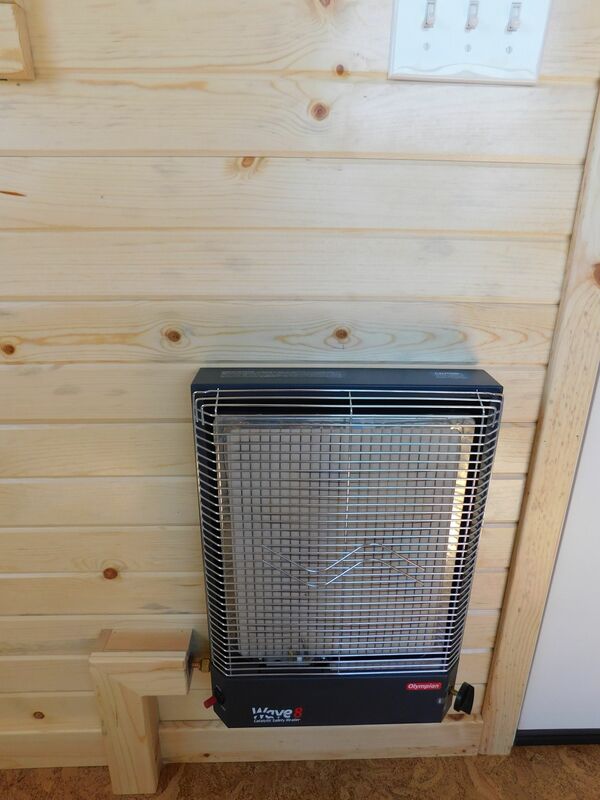 It is insulated with spray foam: 2” in the walls, 3” in the ceiling. 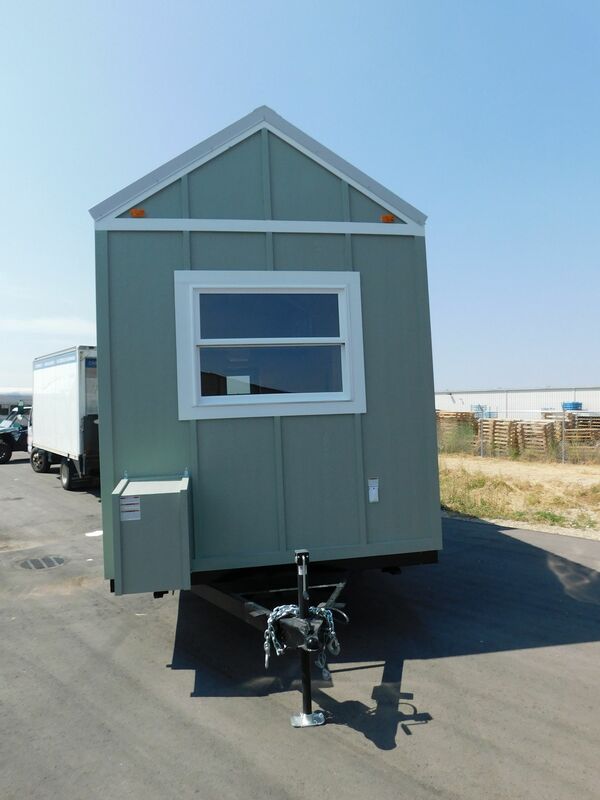 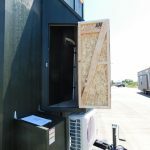 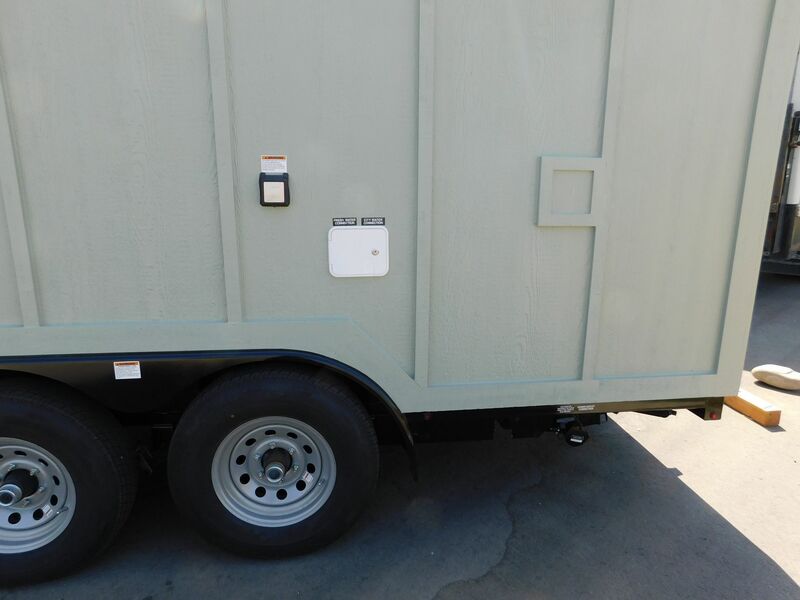 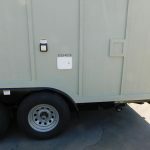 The exterior is Painted Board and Batt SmartBoard. 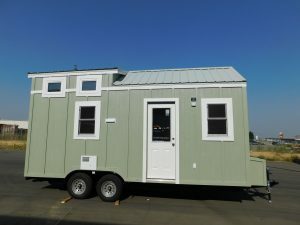 It has a double pitch Tuff Rib metal roof with a dormer roof above the sleeping loft and an A frame roof above the living room. 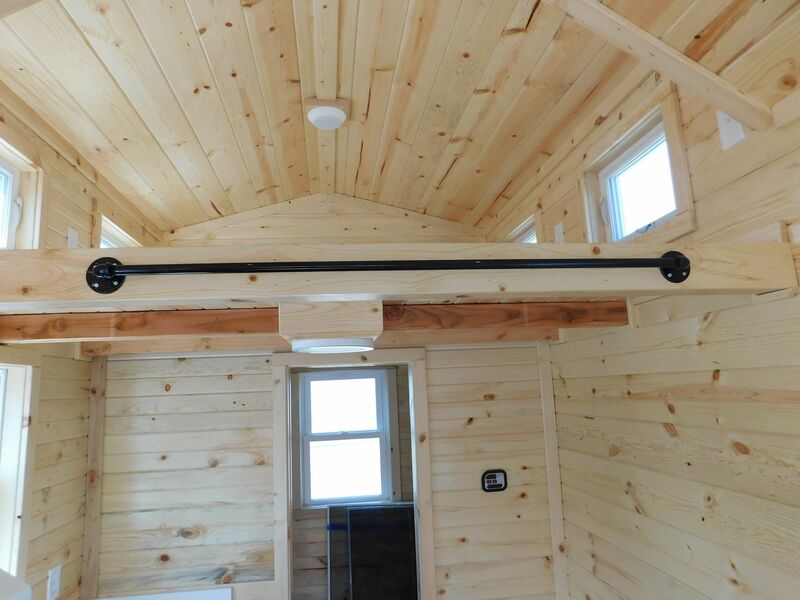 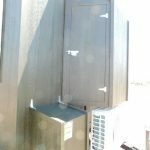 There is an 8 ft. Sleeping loft above Bathroom and Kitchen area with approximately 6’9” under loft and 42” above. 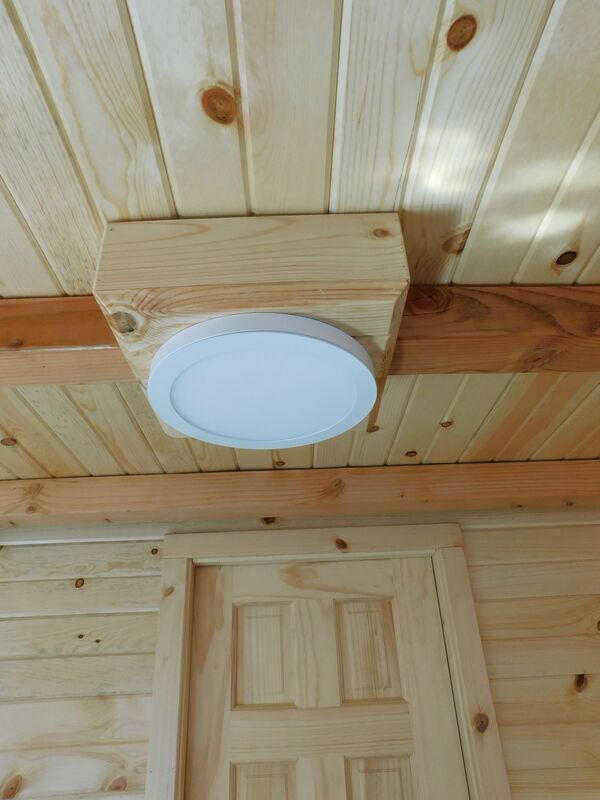 The loft is lighted with 2 wall sconces on end wall and a 1 dome light centered on ceiling. 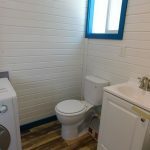 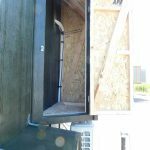 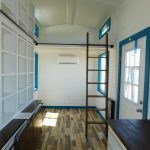 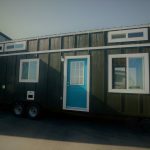 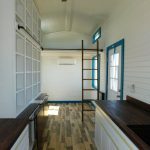 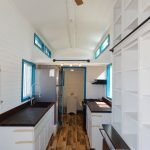 There is a total 9 windows in this tiny home including 4 in the loft area. 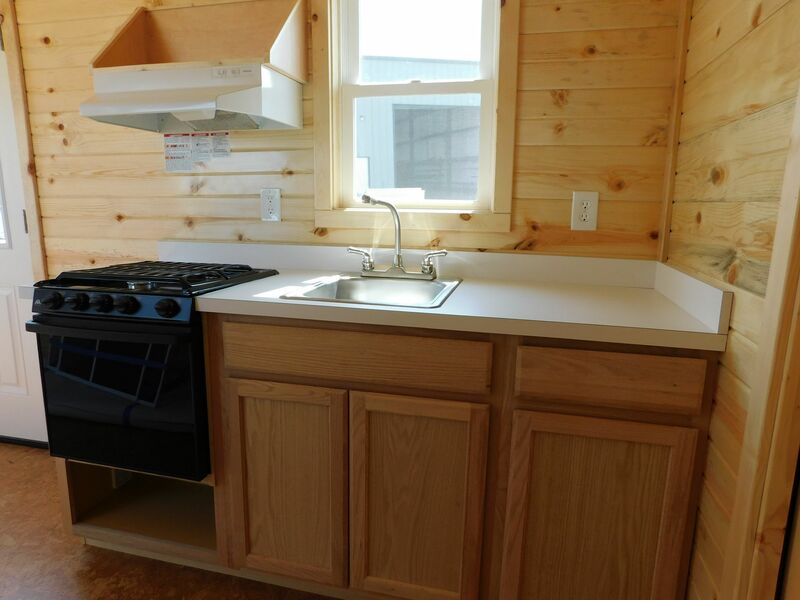 The kitchen has shaker style Arcadia oak cabinets and a 3 burner Atwood RV Range with oven with a 24” range hood. 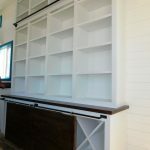 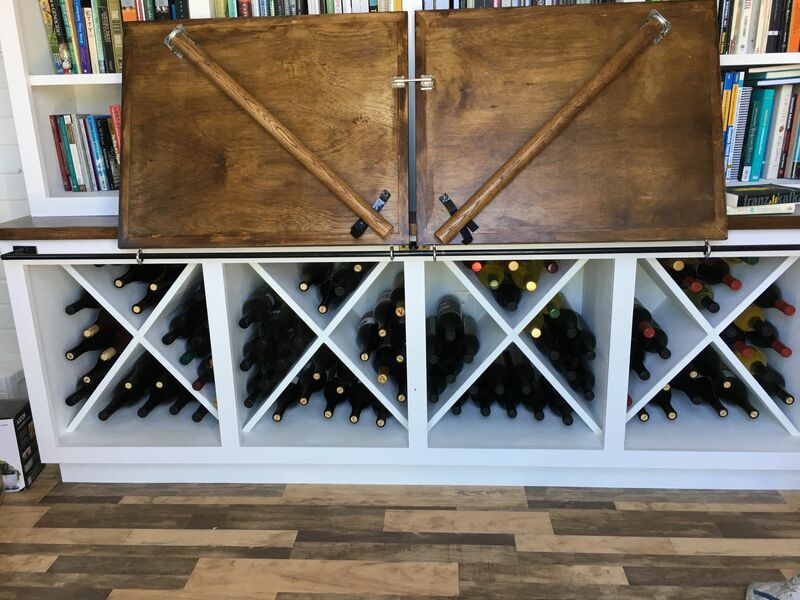 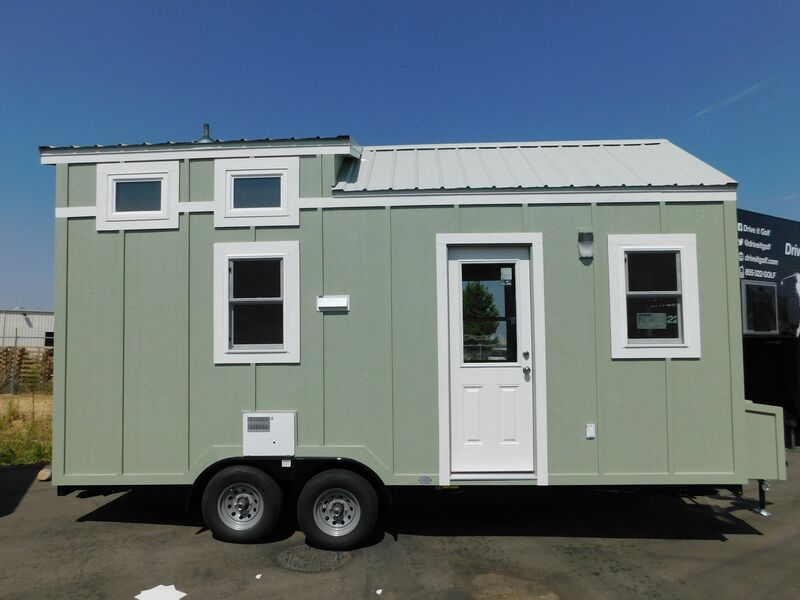 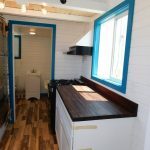 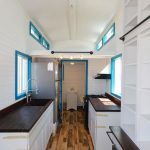 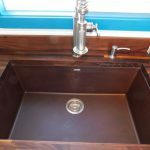 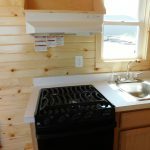 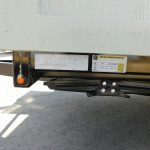 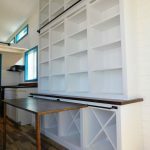 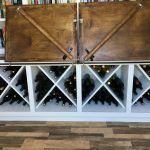 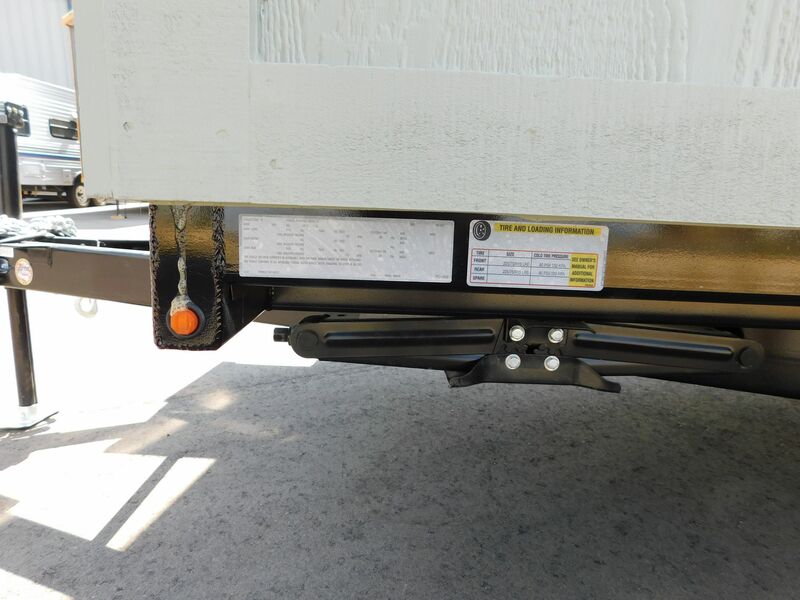 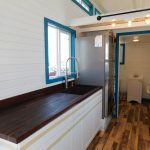 This Tiny house on wheels features a front living room with a custom built 96” long by 18” deep wine rack and book shelfs with two swing out tables, a 10’ loft with dormers located above bathroom and kitchen, a 6’ loft over the living room, a back bathroom with a 4.5 Ft Cast Iron Satin Nickel Claw foot roll up tub, and a middle kitchen with a Houzer Onyx 1 granite undermount kitchen sink with Kohler Single Handle pull down sprayer kitchen faucet, a 20 in. 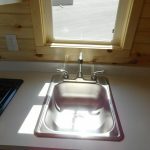 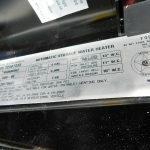 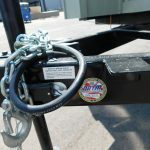 2.42 cu. 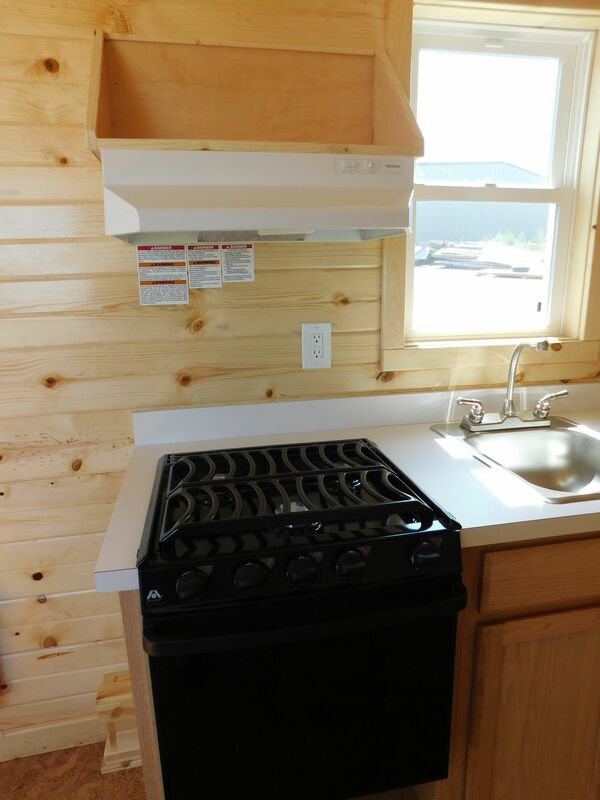 ft. Gas Range and a range hood, black walnut countertops and whirpool 16cu ft top freezer refrigerator.